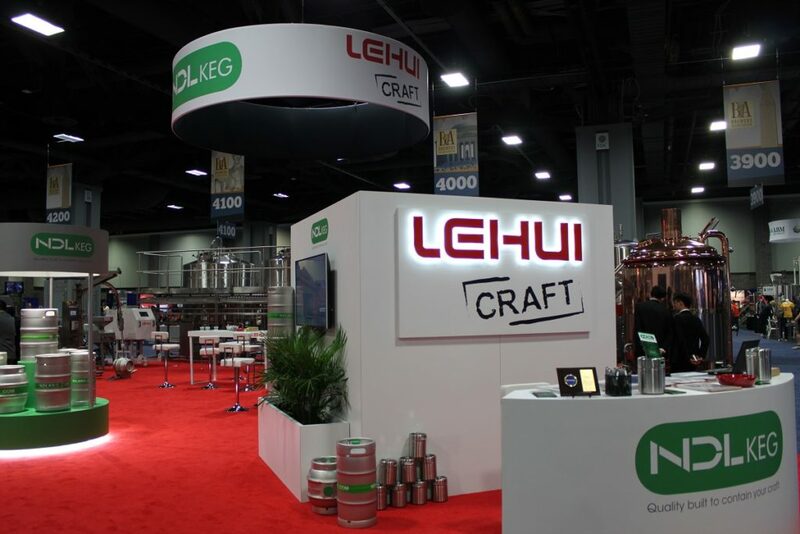 At the beginning of April, Lehui Craft attended the annual Craft Brewers Conference & BrewExpo America held in Washington D.C. Lehui’s booth covered more than 2,500 square feet of exhibition space, and featured our line of high-quality craft brewing and packaging equipment. In total, we displayed two brewhouses, three fermentation tanks, an automated kegging system, casking equipment, and two malt mills. Lehui Craft’s exhibit featured some of the biggest and best quality equipment at the trade show, and attendees recognized it. All three fermentation tanks and our 30 BBL, four-vessel brewhouse sold at the show and will soon be producing delicious American craft beer. Below are some of the highlights of Lehui Craft’s booth at the trade show. 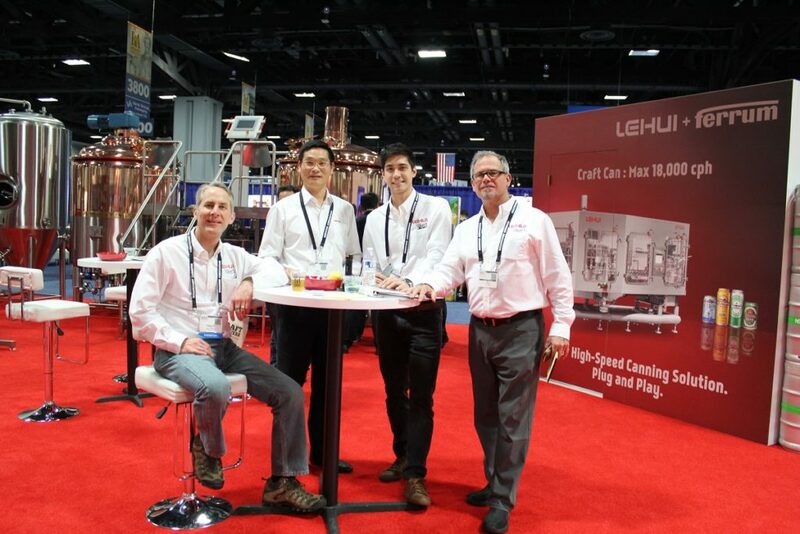 Among Lehui’s equipment on display at the show, our automated keg washing and filling robot was one of the highlights. 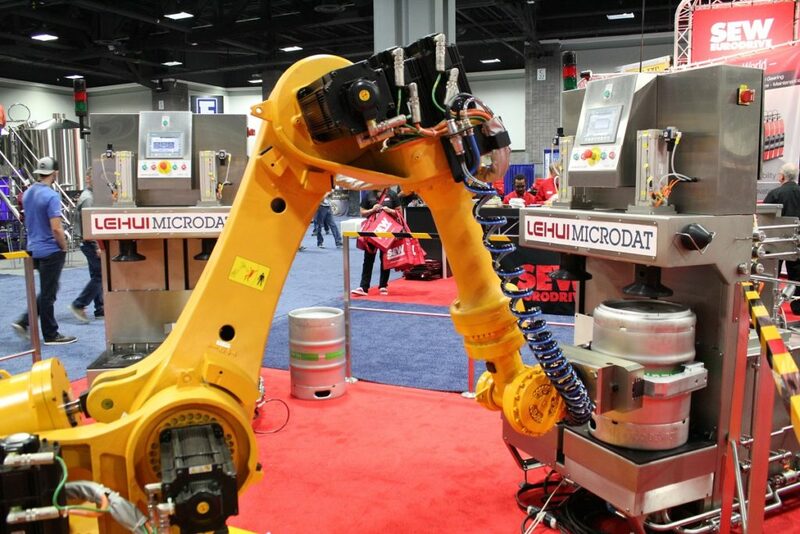 The automated robot was powered and active throughout the show, and was synced with two of our KWF35 keg washer/fillers, lifting and carrying kegs from station to station. 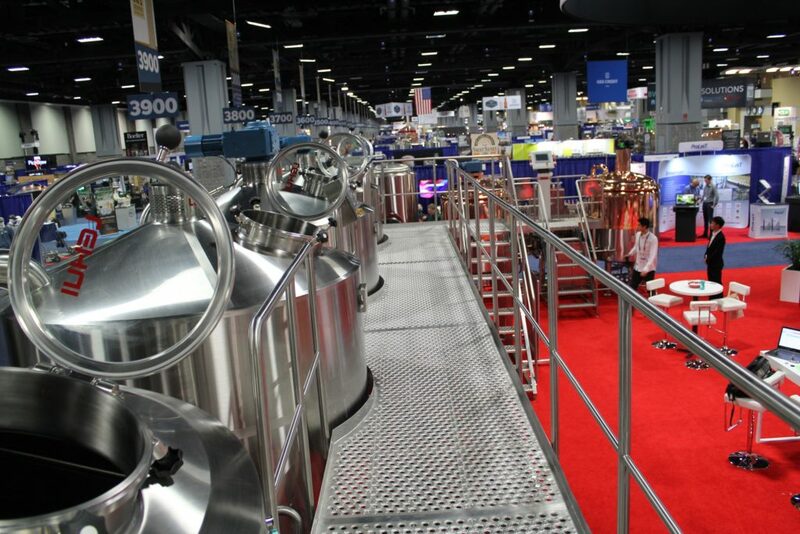 Both of the platforms of our brewhouses were open to trade show attendees, giving brewers an up-close and personal view of the vessels’ internal structure, brewing process, and manufacturing quality. Our booth space was shared with NDL Keg – our strategic sales and service partner in North America. 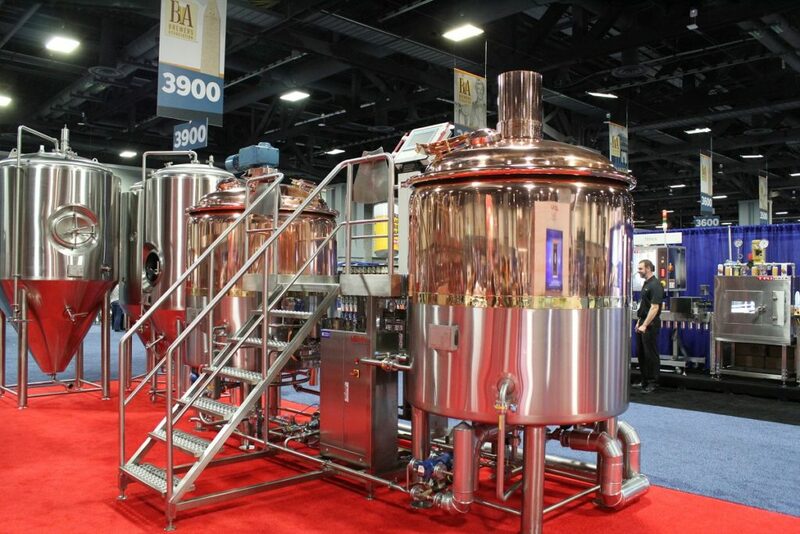 NDL brought dozens of high-quality stainless steel kegs and casks to the show, some of which were on display with our cask washer, cask filler, and automated kegging system. We had a great time meeting with some of America’s best craft brewers and industry experts, and we’re already looking forward to next year’s show. The 2018 conference will be held in Nashville on April 30 – May 3. We’ll see you in Nashville next year!